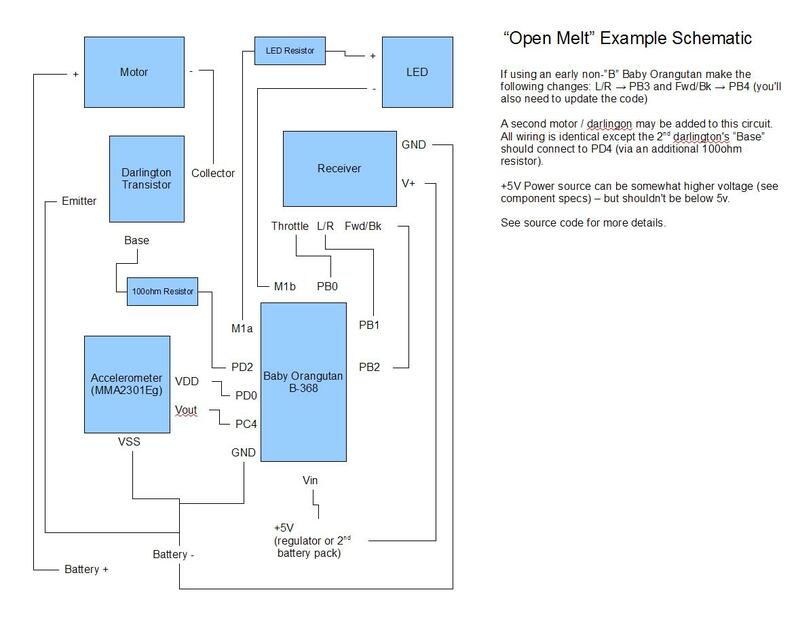 Open Melt is an open-source translational drift (aka "melty brain") robotics project developed by Rich Olson for the "Melty B" series of combat robots. In short - a melty brain or translational drift robot spins its entire body, but is still capable of directional control by quickly modulating power to its drive motor(s). Contact me to add your project to the above list! This system uses an accelerometer to calculate the rate of rotation based on G-forces around a given radius. That data is then used to light up an LED once per rotation - giving the appearance of the "front" of the robot. The user can adjust the heading beacon by moving the remote control left or right. To move - the system turns a motor on when that motor is in the correct position to result in a net movement the direction the robot is intended to go. For example - if the heading beacon is on approximately between 10 o-clock and 2 o-clock it indicates movement will be towards 12 o-clock. Pushing "forward" on the remote then causes the robot to turn on the motor(s) between 6 and 12 o-clock each rotation - the net direction of travel being towards 12 o-clock (this is a simplification - see the 2nd demo video for details). 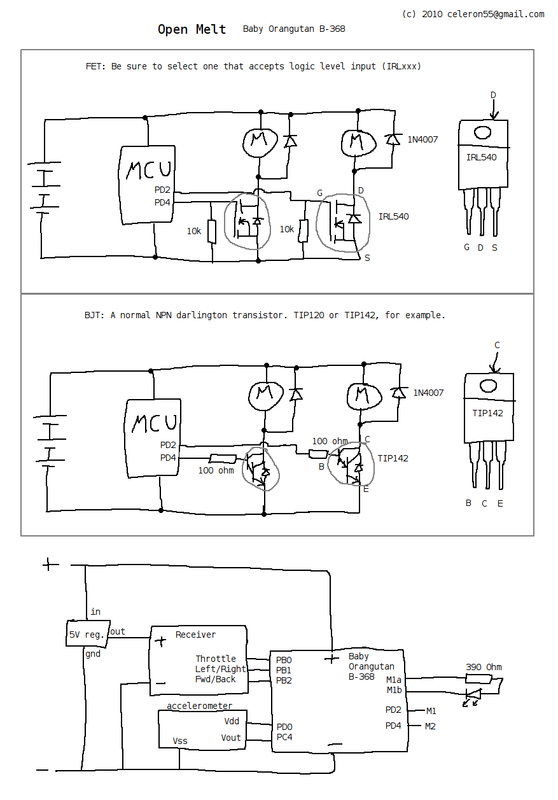 This project uses an Atmel Atmega328 (or 168) and is coded in C using WinAVR. - Project compiles to about 9k - so get a 16k or better chip.